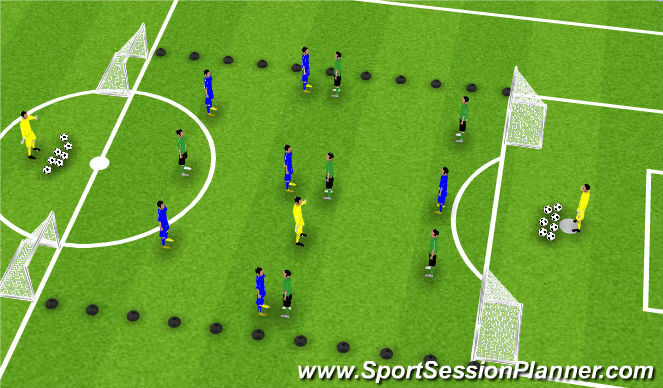 Team Task: Can you play from the back to the front, through midfield? - As the ball is travelling to you, which way do you want to face? - What task did I give everyone once the ball is played into midfield? Team Task: Can we play out from the back through the opposition defence to score a goal? - When 2 or 5 have the ball, 3 or 4, can you create depth so we can maintain possession? - 6, 8 & 10 as the ball is travelling towards you, can you face forward to play forward? 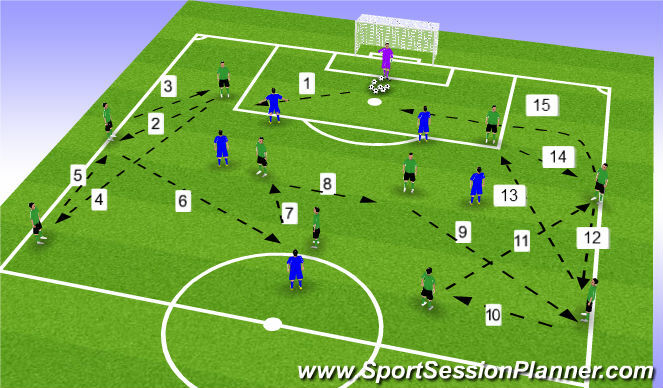 - 10 as 6 or 8 receive the ball, can you become an outlet to play forward?